Book sample: One of the elders, the smallest one, with white hair and long beard, with trembling fingers and wrinkles of wisdom, spoke aloud in his own dialect. One of the elders, the smallest one, with white hair and long beard, with trembling fingers and wrinkles of wisdom, spoke aloud in his own dialect. He welcomed the gesture of the Roman soldier and liked the openness towards the local villagers. Then, he spoke in Latin, because he noticed that Nerva didn’t follow, which made him a bit nervous. Indeed, Nerva made a stressful impression. Marcus Lucius was calm and smiled friendly. Everyone smiles in the same language and Marcus Lucius used the power of interhuman relationships. -My Father hunted this forest before me and tilled the soil before me. My name is Cunobarros, Head Hound. I am a hunter. This is my land. And I will give my land to my sons, who will hunt here with their sons after I am gone. I am no soldier. I don’t fight with men. I hunt. -I remember one Roman man, who spoked with me years ago. He was accompanied by his best friend, as you do, and he spoke about peace, as you do. Marcus Lucius trembled shortly, because he thought about his father. -Your memory is right. It was my father. As my father, I wish to keep the season of peace as long as it is possible. I came here to say it to you directly, so that you know my face and my intentions. I came here to assure you that we can fight together against the men from North. Ephesus contains the largest collection of Roman ruins in the eastern Mediterranean. 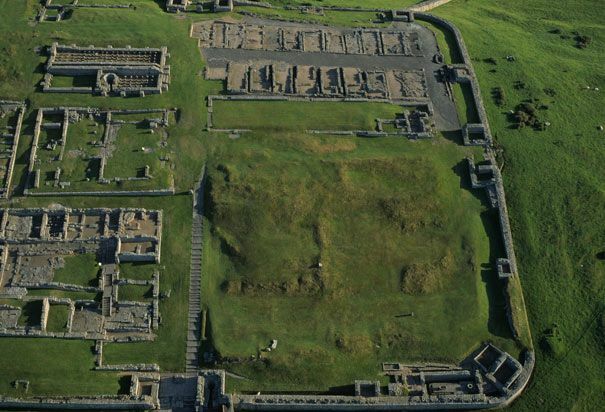 Only an estimated 15% has been excavated. The ruins that are visible give some idea of the city’s original splendor, and the names associated with the ruins are evocative of its former life. The theater dominates the view down Harbor Street, which leads to the silted-up harbor. 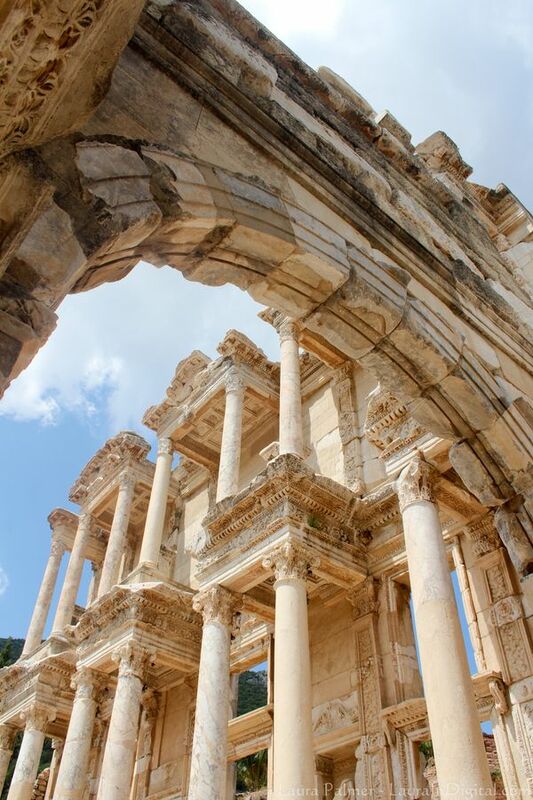 The Library of Celsus, the façade of which has been carefully reconstructed from all original pieces, it was originally built c. 125 AD in memory of Tiberius Julius Celsus Polemaeanus, an Ancient Greek,who served as governor of Roman Asia (105–107) in the Roman Empire. Celsus paid for the construction of the library with his own personal wealth, and is buried in a sarcophagus beneath it. The library was mostly built by his son Gaius Julius Aquila and once held nearly 12,000 scrolls. Designed with an exaggerated entrance — so as to enhance its perceived size, speculate many historians — the building faces east so that the reading rooms could make best use of the morning light. 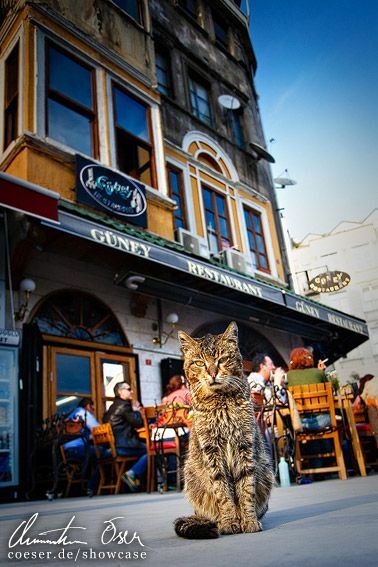 Today Istanbul is the largest city in Turkey, but it has a long history. Constantine the Great effectively became the emperor of the whole of the Roman Empire in September 324. Two months later, Constantine laid out the plans for a new, Christian city to replace Byzantium. As the eastern capital of the empire, the city was named Nea Roma; however, most simply called it Constantinople, a name that persisted into the 20th century. Six years later, on 11 May 330, Constantinople was proclaimed the capital of an empire that eventually became known as the Byzantine Empire or Eastern Roman Empire. The establishment of Constantinople served as one of Constantine’s most lasting accomplishments, shifting Roman power eastward as the city became a center of Greek culture and Christianity. The city subsequently became the center of the Latin Empire, created by Catholic crusaders to replace the Orthodox Byzantine Empire. Various economic and military policies instituted by Andronikos II, such as the reduction of military forces, weakened the empire and left it more vulnerable to attack. In the mid-14th century, the Ottoman Turks began a strategy of taking smaller towns and cities over time, cutting off Constantinople’s supply routes and strangling it slowly. Mehmed declared himself as the new Roman emperor and the Ottoman state was reorganized into an empire. Today Istanbul is the largest city in Turkey, constituting the country’s economic, cultural, and historical heart with a population of 13.9 million. It was hard for her to stay secure and without any movement in the wagon, which was in motion. It wiggled and wobbled more or less powerfully. Even when she said so, she didn’t make the impression of feeling comfortable and well. She looked cute. Marcus Lucius wasn’t sure how he was supposed to handle the situation. Decima didn’t oppose or comment his statements. He smiled sadly, while he remembered his dead wife. Then, he thought that Julia wasn’t a slave, who should take care of him. She was a Roman citizen. He remembered briefly having seen Julia sitting on the floor leaning on the wall of the wagon, and sleeping, when she didn’t spend her time with taking care of him. He had some pictures about her leaning above him and touching his wounds. He felt much pain, but he never complained. He didn’t mind the aching. At least, he knew he was alive. -Forgiveness, why are you here? – He asked after a minute. -You don’t remember anything? – She was confused. He had some pieces of memories in his head, but the whole picture was missing. -My wife is dead. – He said mournfully and he closed his eyes. His breath was deeper, but gloomy. Julia was moved by his emotions. Even if he didn’t say a word of how he was doing, it was easy to see how affected he was. -Appius confirmed it already. – Julia said slowly, insecure. -Appius? – He was immediately present again. – What has Appius to do with it? Julia watched his spontaneous move attentively. He sat up in the bed and gazed at her with impatience. He needed more information, she seemed to know things he wanted to know. -With all due respect, you really don’t remember anything? – Her doubts weren’t strong. It was rather a kind of disbelieve. She wondered how he could forget the way he defended her just a few days ago. As she was travelling with her husband, they were attacked by a Barbarian horde. The fight started unexpectedly. Nobody had assumed that the enemy could attack a Roman convoy on the North-Eastern borders of the Pannonia province within the Roman Empire. Julia remembered that she started being worried about her integrity due to perspective of spending her time just with her husband. Maxentius Claudius wasn’t a pleasant man. He was much older than she and she was already almost twenty. Half year ago, she had to marry him due to the request of her father. Julius Fabius gave her away to a man she didn’t respect and didn’t like at all. Julia wondered many times what was more important to her father than her dignity. Marcus Lucius noticed her absence and his impatience grew exponentially. If his curiousness and impatience would have been shown on a graph, it would have looked like an upward-sloping function which increases faster as the state of nosiness increases above the x-axis. He repeated his last question and ignored the pain in the chest. He knew he shouldn’t have changed his position, because his wound opened itself and blood appeared on the grey pieces of material. His voice was determined and brought Julia back to reality. -I think I should call Octavian. – She spoke calmly, shyly. -Fair enough, but please stay here. Stay and tell me what you know. – It didn’t sound like a request, rather like an order. Julia’s body was tensed and Marcus Lucius wasn’t sure whether she didn’t like talking to him or whether she didn’t like the topic. She seemed to be insecure and feeling unwell. Her muscles on the naked arms and young face were visibly strained. She analysed whether she should go away or stay. As her eyes moved vividly in the short moment of desperation, she noticed that Marcus Lucius started to bleed. Automatically, she stepped forward and took the material from Marcus Lucius’s chest. -Lay down. – She ordered and enormous strength was noticeable in her voice. He didn’t react. He defended his position: he wanted to know what happened. -If you tell me… – He was weak, but he didn’t intend to give up. He could fight for his wish up to the deadly end. Julia noticed it and reacted appropriately. -I will, if you lay down first. – She was next to him and bowed over his body. She didn’t argue, she offered a compromise. She analysed the disaster he caused to himself. The wound bleed increasingly. She put her hand on his chest and looked Marcus Lucius into the eyes. -You lay down, I’ll tell you what you want to know. He calmed down quickly and let her push his body down onto the bed. He followed her moves and let her pull her hand towards his chest. It was extremely painful, but he didn’t lose his senses. He observed how calm she acted. Earlier, she made a chaotic, insecure impression, but in the moment of stress and risk, she didn’t let herself get worked up in any way. He watched as attentively as possible how she took a clean piece of material and put it into a strange substance that smelt totally unpleasant. Then, she rubbed something into his chest and he thought there was a fire set to it. His heart almost jumped out of the body. His forehead was wet with sweat and his arms and legs started to tremble. He didn’t feel good, but he kept focussing at Julia. Her face was calm, in contrast to his condition. -Hush, hush, and breathe deeply. – She whispered and washed his sweat away from his forehead. Her voice calmed him down. It was easier to manage the pain when he was focussed on Julia. He didn’t follow her moves, but he stared at her eyes. They were monitoring certain parts of his body. Apparently, she tried to determine how bad were the injuries caused by his latest action. She smiled when she saw that other wounds stayed partially closed. It was a nice, satisfying smile. Still, she wasn’t happy about the state of injury on his chest. She wasn’t a doctor and was not able to treat him properly. All she knew about treating wounds, she learned from Octavian. 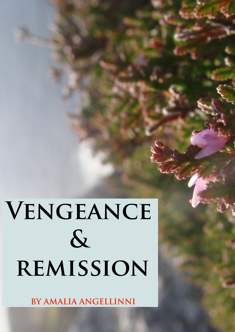 She repeated everything he showed her and hoped that her actions were appropriate. She washed away the sweat from Marcus Lucius’s chest and head. He was visibly grateful for it. After some minutes of fast, careful actions, Marcus Lucius noticed that her speed started to decrease. No further moves were needed to stabilise his condition. She was relieved, when the bleeding stopped. Marcus Lucius saw it in her eyes. She didn’t respond to his gaze. Her right hand was lying on his chest and kept pressuring a piece of wool material against it. Her eyes were focussed on his chest. Her breath was regular. She spread the kind of coolness he needed. In this moment Marcus Lucius stretched his arm and touched her fingers. She got nervous for a moment and she wanted to take her fingers back, but his grasp was heavy. For some seconds, he looked her in the eyes and she returned the look. Something in his look forced her not to yield. Marcus Lucius’s look wasn’t clear. He was half-dreamy he called her with the name of his dead wife. -Decima… – He whispered and his grasp became stronger. … THE BOOK WILL BE PUBLISHED SOON. IF YOU WISH ANY INFORMATION ABOUT THE BOOK, PLEASE FOLLOW US ON TWITTER OR READ THE NEWS FROM OUR WEBSITE.